There is no other effective way for a handsome man to highlight his waist than wearing fashion forwarded belts. This fashion accessory that cinches around your waist serves you the brilliant style, apart from giving the perfect lift for your slacks. Though this stunning fashion supplement is made out of different materials that have their own exotic features, the one that continues to remain at the fore front of style is that the leather. The plush, luster and flexibility of the leather belts separate them from its fabric or plastic rivalries, especially the caiman alligator leather defines a new depth and dimension to this dapper accessory, by taking its style to next level. 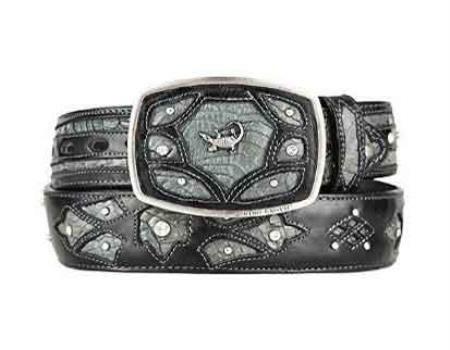 The versatile caiman alligator belts will help you create a unique and striking look that cannot be offered by its plain leather counterparts. 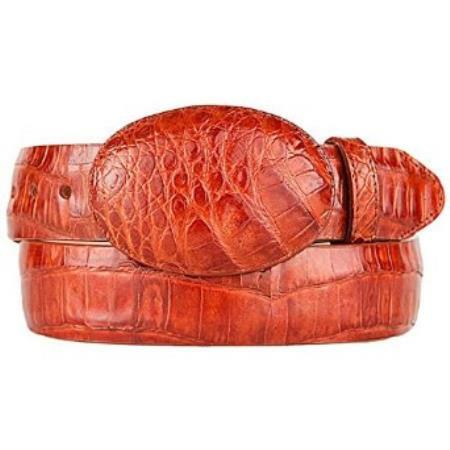 The caiman alligator hide is been remaining the preferable choice of the designers to make belt, owing to its high end fashion appeal and less expensive cost. Commonly the tails and flanks that pose uniform shapes are used to build the belt, for making a cohesive aesthetic. The caiman alligator belts are sturdy enough to show great tolerance against wear and tear as the genuine hide is slightly bonier than any other crocodile skins, making the accessory firm and rugged. Entire model is made by joining the strips of the hide that carries a remarkable durability, assuring the wearer with a long run usage. The hypoallergenic nature and smoothened surface of the leather offer a marvelous edge to the design of this worthy fashion accessory. 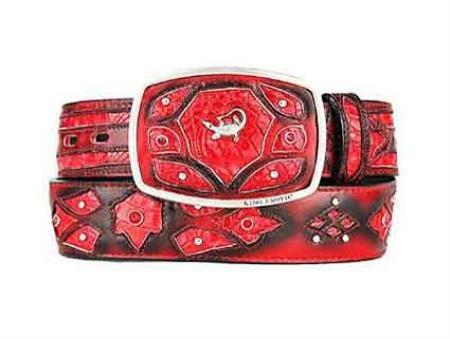 You will never feel any discomfort with either the design or construction of the caiman alligator belt as each piece is fabricated keeping an ultimate comfort in mind. 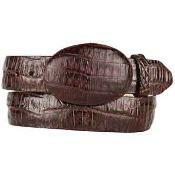 The caiman alligator belt is usually crafted in three different styles- skinny belts, medium belts and wide belts. Skinny belts:The skinny style measures a width of about 1 inch and suits better for men, who are having a slim waist line as its slender body looks odd on stout persons. Thin fabric shirt or cardigan is the best choice to pair with the skinny belt. Medium belts:The medium sized model measures a width of about 2.5 inches and it is the traditional piece that is often worn looping through jeans or slacks. This style is liked by most men as it screams out professional style and is appropriate to wear with both formal and casual attire. Wide belts:The wide caiman alligator belts appear bold with phenomenal class and glam, and complement hefty apparels like thick sweaters and bomber jackets. 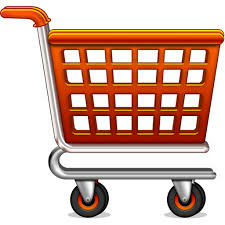 Usually, it features a width of about 3 - 4 inches. Being distinct and luxurious, the caiman alligator belts that are available in a variety of colors, styles and textures offer prestigious status even to boring attire and turn it interesting. Deserving a prominent place in the fashion runway, it will never go out of style.